Former FBI director James Comey’s 304-page book, coming out Tuesday, promises to share never-before-heard stories about his interactions with President Trump. 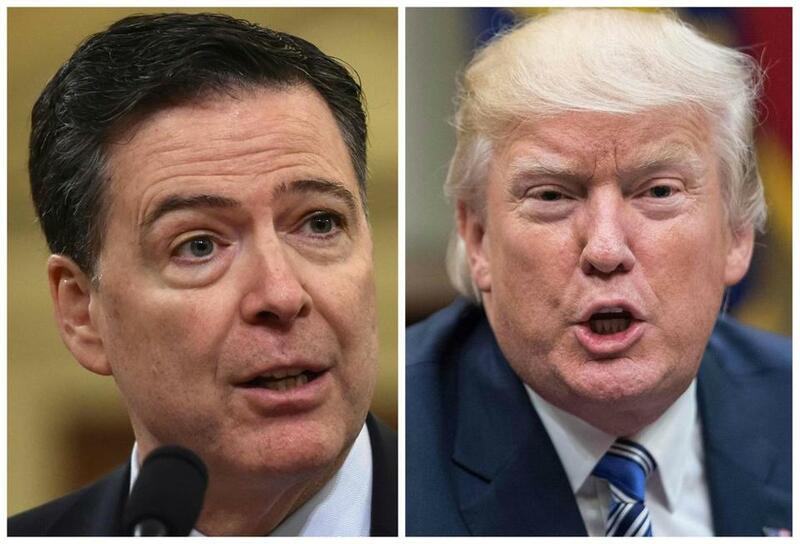 In Comey’s book, he describes in great detail the ways in which Trump has allegedly violated the independence of the FBI and attempted to coerce loyalty out of Comey, according to The Washington Post, which obtained a copy of the book, titled “A Higher Royalty: Truth, Lies and Leadership” prior to its release. Comey describes the president’s many attempts at explaining away the dossier that alleges that Russians filmed Trump in 2013 interacting with prostitutes in Moscow. The infamous dossier has salacious details about the alleged encounter, including a story that Trump had watched as the prostitutes urinated on themselves. Trump later asked Comey what could be done to “lift the cloud” because it was hurting First Lady Melania Trump. When Comey first brought up the dossier after an intelligence meeting, Trump reportedly interrupted Comey, “asking — rhetorically, I assumed — whether he seemed like a guy who needed the service of prostitutes,” Comey writes. “He then began discussing cases where women had accused him of sexual assault, a subject I had not raised. He mentioned a number of women, and seemed to have memorized their allegations,” Comey writes. Comey writes that Trump asked him to many times to ensure people knew that the FBI was not specifically investigating him. When Comey explained to Trump that he was not under investigation and that he told Congress that much, Trump responded, “We need to get that fact out,” Comey writes. On April 11 — the last time the two men spoke before Comey was fired on May 9 — Trump called Comey to make sure they were going to “get out” that Trump was not under investigation. ‘‘I have been very loyal to you, very loyal,’’ Trump told him, according to the book. One week after the inauguration, Trump reportedly invited Comey to have dinner with him in the Green Room. At that dinner, he told Comey, “I need loyalty. I expect loyalty,” Comey writes. “That’s what I want, honest loyalty,” Trump responded. In a meeting in February 2017, Trump reportedly asked Attorney General Jeff Sessions to leave the Oval Office so Trump could speak with Comey alone about the investigation of former national security advisor Michael Flynn. “I read in his posture and face a message that he would not be able to help me,” Comey wrote. In that initial meeting, Comey wrote, the Trump team determined that they would emphasize that the Russians had no impact on the 2016 presidential election. But James Clapper Jr., the director of national intelligence at the time, reminded them that intelligence officials had not yet determined that to be true. Material from the Washington Post was used in this report. Felicia Gans can be reached at felicia.gans@globe.com. Follow her on Twitter @FeliciaGans.